William is a trial lawyer who has handled a wide variety of complex business and personal injury cases in state and federal court, as well as before various administrative agencies. He has also argued before federal and state courts of appeal. Among others, he has handled cases involving claims of trademark infringement, patent infringement, copyright infringement, unfair competition, misappropriation of trade secrets, breach of contract, fraud and false claims, wrongful termination, disputes arising in the sales of businesses, securities law before FINRA, shareholder disputes, real estate disputes, and serious injury and wrongful death. His cases have been the subject of several news media reports. William is a member of the prestigious American Board of Trial Advocates (ABOTA), an organization that is highly respected throughout the legal community. ABOTA is a national association of experienced trial lawyers and judges dedicated to the preservation and promotion of the civil jury trial right provided by the Seventh Amendment to the U.S. Constitution. In order to become a member, a lawyer must have conducted and completed a certain number of jury trials. William has also been rated by Martindale Hubbell as "AV - Preeminent." 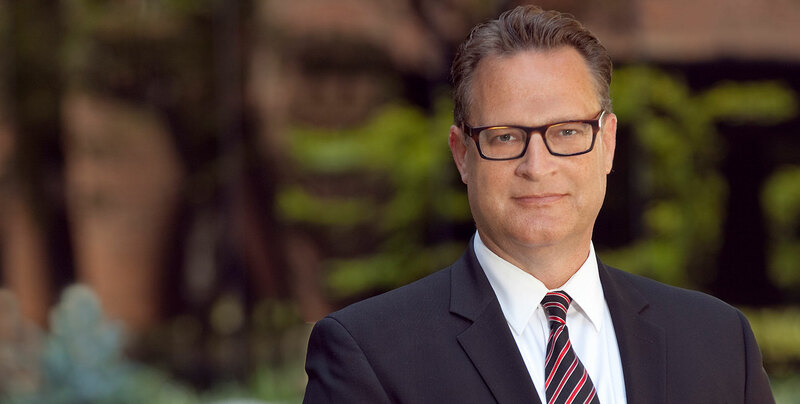 Also, because of his litigation successes, William has been listed many times in Southern California Super Lawyers Magazine (most recently in 2019), having been recognized by his peers as one of the top lawyers in Southern California. He has also received the highest rating of "10" on AVVO since 2009, and has been recognized by OC Metro Magazine as one of Orange County's top lawyers. In fact, in OC Metro’s 2012 and 2013 publications, William was identified as one of the top ten litigators in Orange County. Litigation: Business, Contracts, Intellectual Property, Unfair Competition/Antitrust, Corporate Shareholder/Securities, Employment, Real Estate, Wrongful Death, and Serious Injury. An unexpected voluntary dismissal of a multi-million lawsuit filed against an inventor for allegedly breaching patent licensing agreements, after years of contentious litigation and weeks before the scheduled trial date. A FINRA award in favor of a securities broker claiming a share of commissions paid to another securities broker. A judgment after trial in favor of a client accused by a former corporate shareholder of misappropriating various corporate assets. A jury verdict finding infringement of a client's valid and protectable trademark (damages to be decided in a separate trial). A $500,000 jury verdict in a products liability case in which his client, a pool plaster supplier, accused a manufacturer of furnishing defective pool plaster product. A $200,000 jury verdict in a breach of contract case in which his client, a bus transportation company, accused a ticket salesperson of failing to remit proceeds from ticket sales. A finding of no damages following a jury trial in a copyright infringement case in which his client, a large real estate developer, was accused of violating copyrights in certain sculptures by displaying sculptures on commercial and residential developments. A favorable judicial decree under California Corporations Code section 2000, establishing the value of a hostile shareholder's shares of corporate stock to be bought by his client. A dismissal and an award of attorney's fees after the court granted an anti-SLAPP motion, striking a complaint alleging that a prominent attorney and prominent business person were involved in submitting a report to a child services department that was later determined to be "unfounded" or "false." A $750,000 jury verdict in a breach of contract case in which his client, a large real estate lender, alleged that a large internet business breached a settlement agreement relating to use of a trademarked name. A $2.8 million judgment after a jury trial entered in an employment case in which his client, a physician, sued her former employer, a medical clinic, for violating of the False Claims Act by committing Medicare fraud and for retaliatory termination of employment. A defense jury verdict in a breach of contract case in which his client, a renowned local baker, was accused by a restaurant/bakery of violating a covenant not to compete. A defense judgment entered after a jury trial in a fraud case in which his client, an entrepreneur, was accused of making false statements to a large Vietnamese telecommunications company in connection with an international telecommunications deal. A defense jury verdict in a breach of contract case in which his client, a large automobile wheel distributor, was accused of failing to pay for wheels manufactured, but untimely delivered, by a Taiwanese company. A $2.9 million judgment entered after a jury trial in a trademark/breach of contract case in which his client, a large after-market automobile parts distributor, sued a Taiwanese company for copying its unique tachometer. A defense jury verdict in a conversion case in which his clients, landords of commercial property, were accused of destroying valuable machinery owned by the tenant. A $300,000 claimant award for a client in a securities arbitration before the NASD, now known as FINRA. Multi-million dollar judgments for investors in three separate cases involving securities fraud. 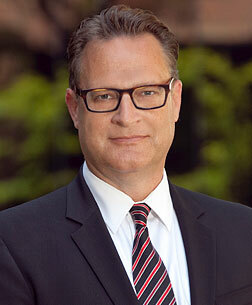 William has served as a faculty member for ABOTA's trial school and has also authored several articles on law practice for the Los Angeles Daily Journal and Los Angeles Lawyer Magazine, including articles on proving damages as well as getting and keeping the jury's attention. He was also on the staff of Southwestern University School of Law's law review, and was invited to join Southwestern's moot court honors program. William also passed the Uniform Certified Public Accountant Examination in 1991. Pro Hac Vice admissions in several states, including New York, Texas, Washington, Nevada, and Delaware. Piano and Tae Kwon Do.